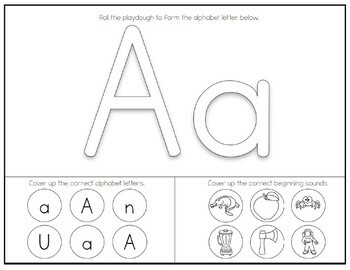 Alphabet Play Dough Mats. 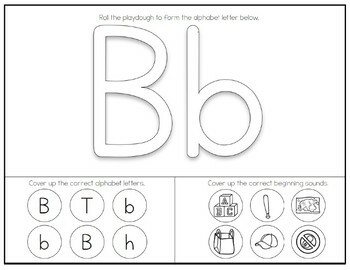 Letters A-Z. Centers Ideas. Printable. Simply laminate and use over and over again. Great for centers, small group or whole group. 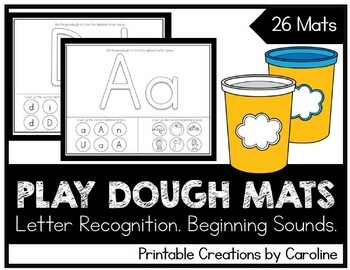 Students can form the letters out of play dough to place on the laminated paper. Then, they can roll play dough balls to find the letters and the beginning sounds.